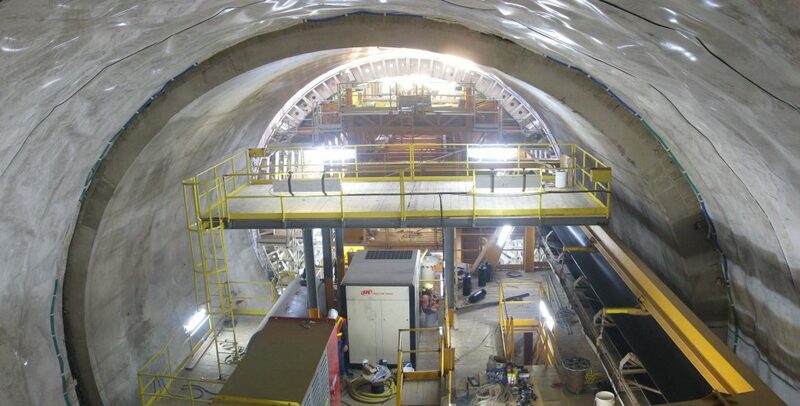 The 10.4 kilometer tunnel below the city of Niagara Falls diverts water flowing at 500 cubic meters per second from going over the Falls, down the length of the tunnel to the Sir Adam Beck power station. 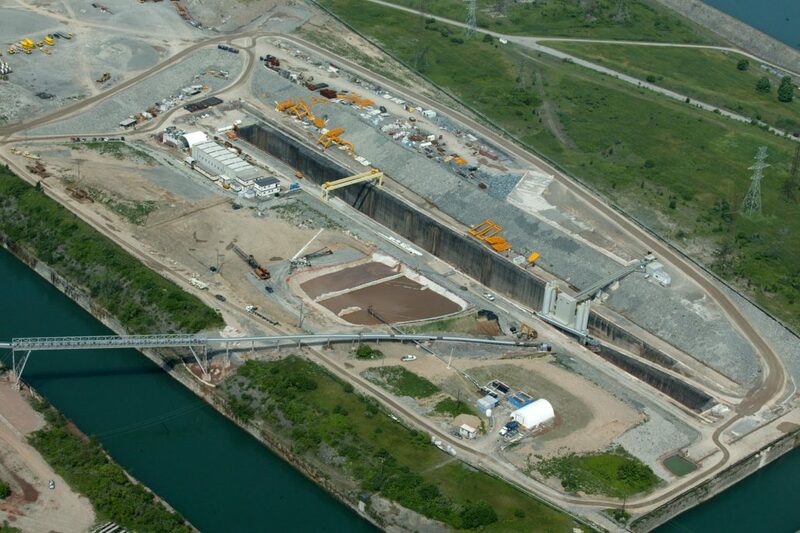 There, clean hydroelectricity is generated to power 160,000 homes in Ontario for 100 years. 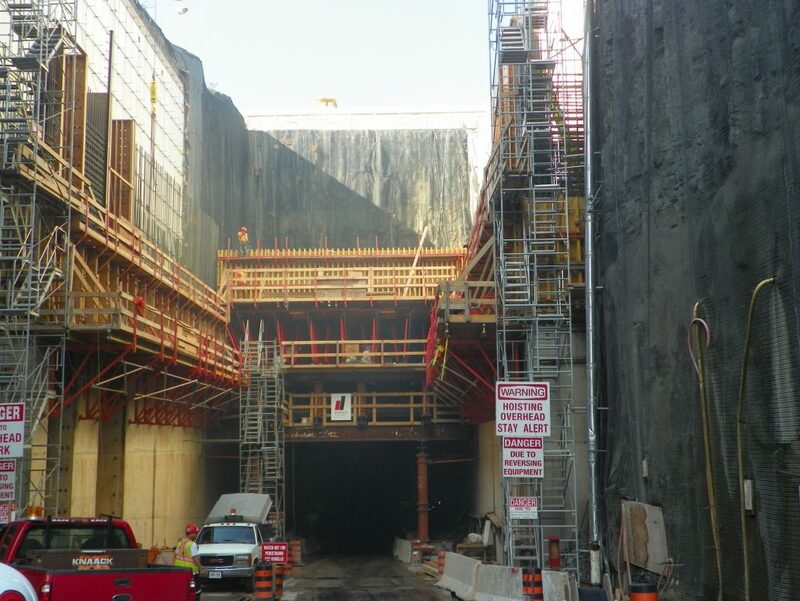 Strabag, the primary contractor for the Niagara Tunnel project, engaged Dufferin Construction on the project and Dufferin Concrete to provide the innovative concrete solutions for the entire project – the cast-in-place tunnel liner and all concrete outside the tunnel. 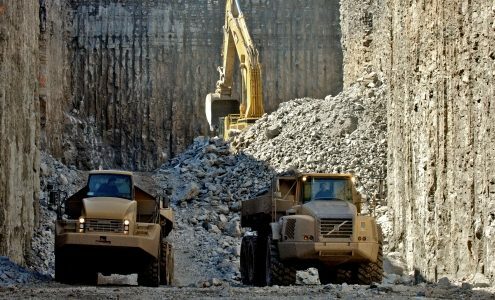 This is enough concrete to pave a two-lane highway for 160 km. 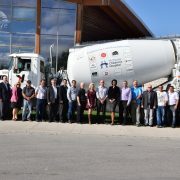 Frank Stancati, Dufferin Concrete’s Project Supervisor at the tunnel, said the biggest difference with this project is the sheer volume of concrete produced and delivered 24 hours a day, seven days a week. 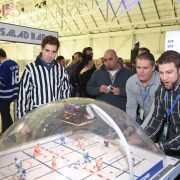 “We didn’t go down into the tunnel at all. 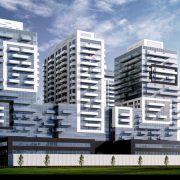 Our job was to deliver around 800 cubic meters of concrete every day, to exact mix specifications, without fail. 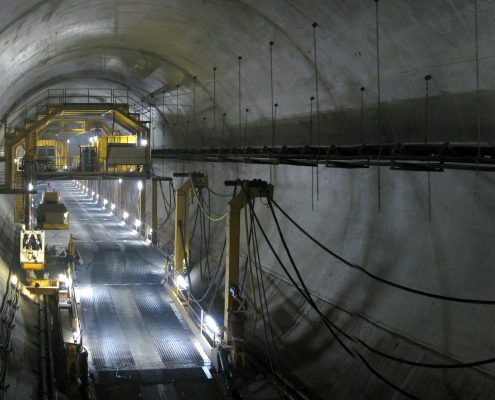 The concrete was then pumped down the tunnel where specially-built Strabag mixers took it to where it was needed. Our team made two very different types of concrete for the tunnel. 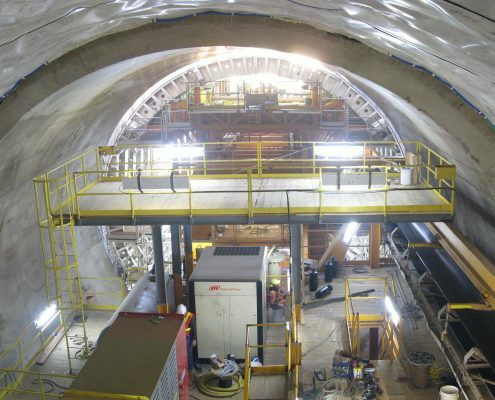 ‘Shotcrete’ was sprayed onto the tunnel walls immediately after Big Becky, the boring machine, passed. 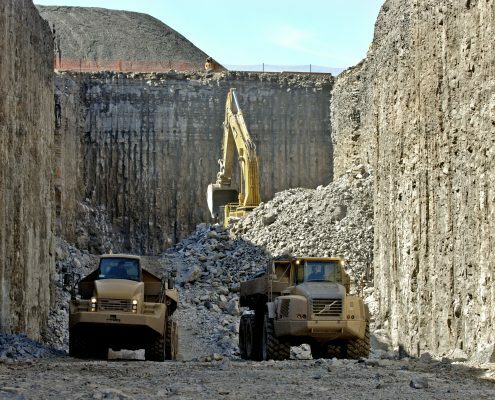 This stabilized the rock to provide temporary support for the tunnel wall until the liner concrete was cast. • Blasting out and excavating the 43-meter deep, 450-meter long outlet cut. 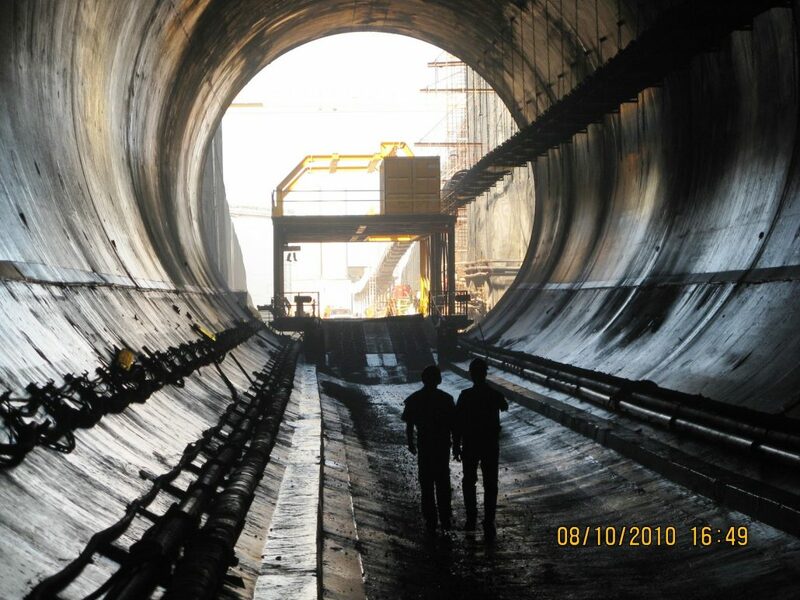 This is where the water will come out after flowing through the 10.4-kilometer length of the tunnel. 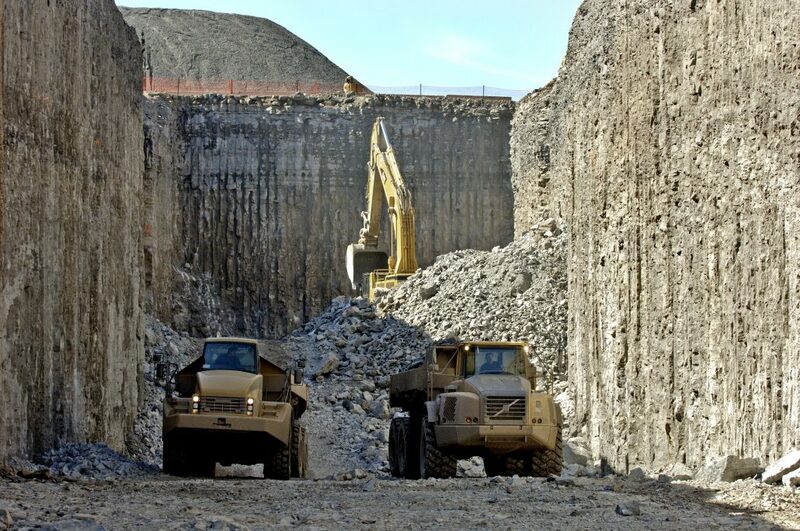 • Blasting out and excavating the inlet near the Falls – a 37-meter drop with a 50-degree slope over 150 meters. 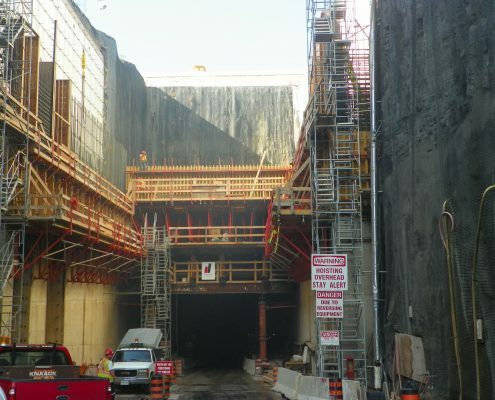 • Building the accelerator wall out in the Niagara River which will funnel and accelerate the flow of water to the tunnel. 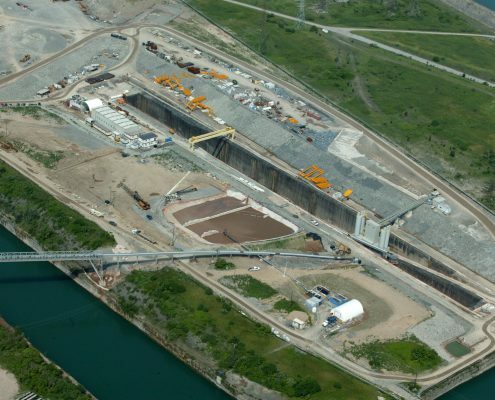 • Building a cofferdam around the inlet to keep it dry for construction and for Big Becky to come out. • Creating a two-kilometer long ‘island’ of material drilled out of the tunnel.